You know that sourdough starter I've been nursing? Well I've got another way for you to use the discards you have before feeding it, courtesy of my friend Joanne Sherif, owner of Cardamom Cafe & Bakery. Joanne recently launched the San Diego Friendship Bread group on Facebook and she posted what I thought was the coolest idea! 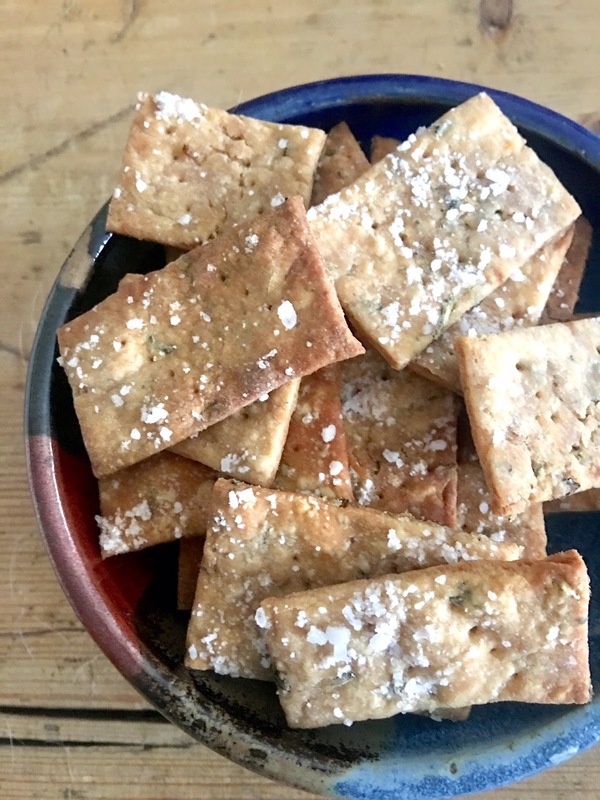 Now if you've been intimidated by the idea of making bread, you should definitely give far less challenging crackers a try. And these, which she found on a wonderful blog called Sourdough & Olives, are very good and very easy to make--and adaptable to your own tastes. When using discard starter, you have to understand what you're making with it to figure out if you can use it when it's flat (as in having spent the week in your fridge without having been fed) or if you need to rebuild it by feeding it with more flour and water to get it all nice and bubbly and yeasty again. If you're just going for flavor, then feel free to stir it up (since there will probably be some liquid sitting at the top) and use it as is. But if you're going to rely on it for a rise, then you have to feed it again and let it sit for several hours to reach its peak. Crackers? In this case, at least, there's no rise. It's all about the sourdough flavor. So just stir up the starter discard and go for it. This recipe, which can easily be doubled, calls for dried herbs. Now, depending on your taste or how you'll be using the crackers you can also just leave them out. But I used my dried herb rub. This is something I always have around--and making it turns my house into the most divinely aromatic environment. 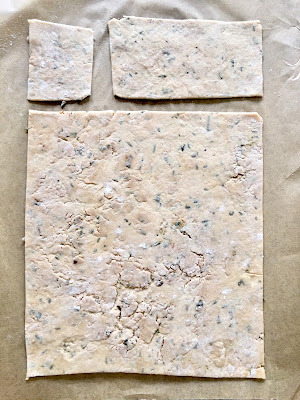 Once it's dried I use it on everything from olive oil dip to a poultry rub to vinaigrette. 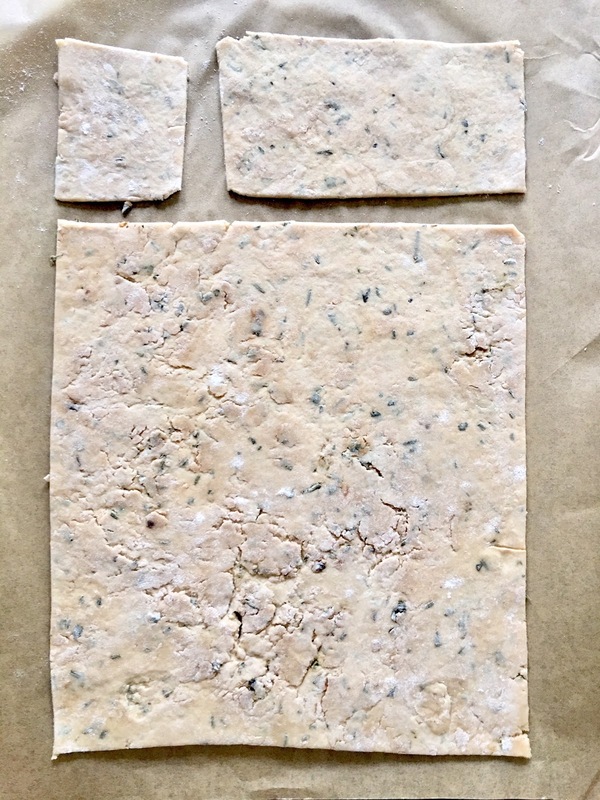 It's made up of rosemary, thyme, oregano, garlic, sea salt, and lemon zest. Joanne said she has used nigella seeds and inspired me with bringing up everything bagel topping mix. 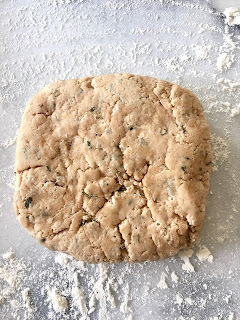 The herbs and/or spices/seeds go into the dough, which after it's rolled out very thin is brushed with olive oil and then sprinkled with sea salt. The other thing that can be a variable is the flour you use. I used King Arthur white whole wheat flour, but you could use cornmeal--which Joanne has done--or spelt flour. One thing to caution you about. Every oven, of course, is a little different. Crackers can overcook or even burn easily. So even though the recommended bake is 20 to 25 minutes, check your crackers at 15 or 20 minutes to avoid over baking. 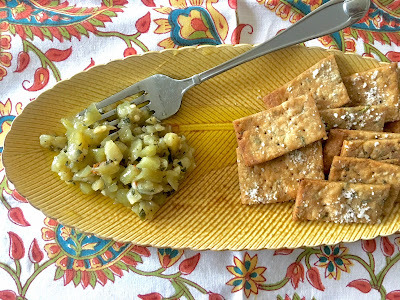 I really enjoyed these crisp, herbaceous crackers, especially with my Italian Marinated Eggplant. For this I didn't cut the crackers into small squares but instead into rectangles to better hold the eggplant. 1. Mix together starter, four, butter, herb rub, and salt. Form into a stiff dour and shape into a rectangle. 2. Let the dough rest for 5 to 8 hours if you want a tangier flavor. Otherwise you can continue on to rolling it out. 3. Pre-heat oven to 350 degrees F. Flour both the work surface and rolling pin. Roll out dough to about 1/16" thickness. Trim for straight edges, and re-roll the excess to avoid waste. 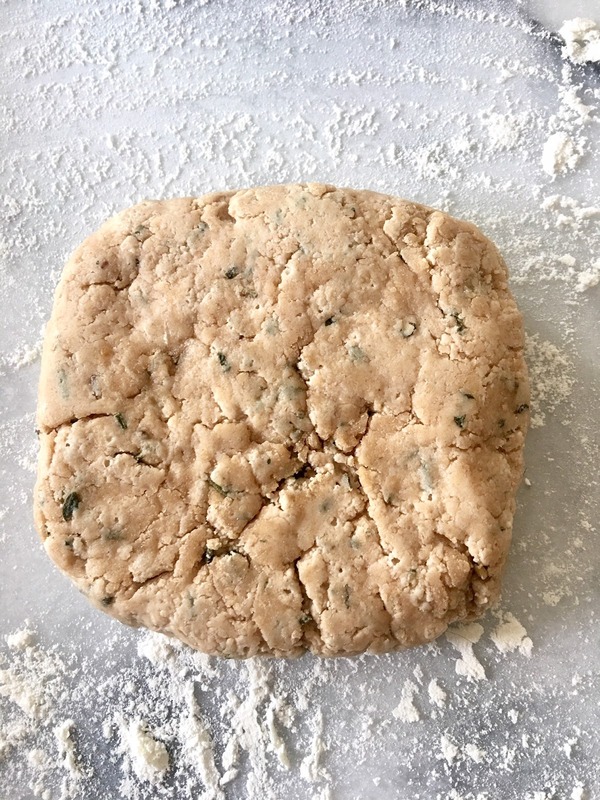 Transfer the rolled out dough to parchment paper on top of a sheet pan. Brush with olive oil and cut the dough into squares using a sharp knife of pizza cutter. Prick each square with a fork and sprinkle some sea salt on top. 4. 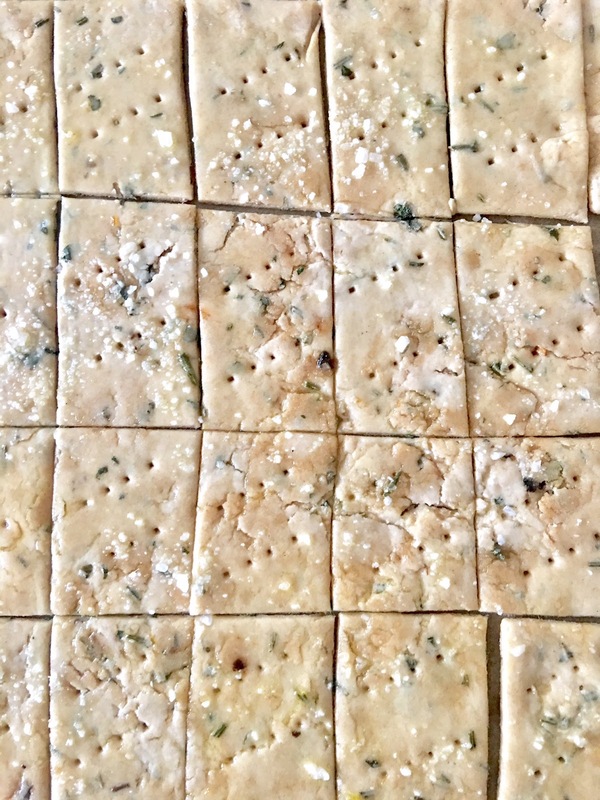 Bake the crackers for 20 to 25 minutes, checking at 15 to 20 minutes to make sure they haven't already browned. 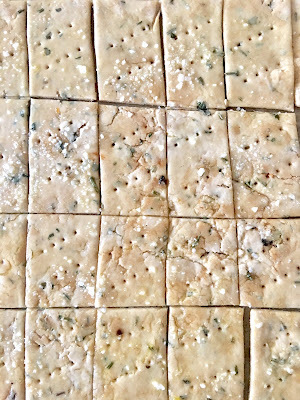 Once the squares begin to brown around the edges, remove from the oven and use the parchment paper to transfer the crackers to a rack to cool. P.S. If you're an avid home baker in San Diego, you'll want to attend Grains: Learn, Eat & Drink! 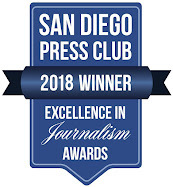 It's going to be held on Feb. 22 from 6 to 8 p.m. at Cardamom in North Park. Ca Grain Campaign and Slow Food San Diego have partnered with three local bakers and a brewer for this fun, informative and tasty event around the joys of whole grain. Come hear from Farmer Mai how to access flavorful California whole grain and support small farms. Learn about Slow Food's commitment to supporting local California Grain. 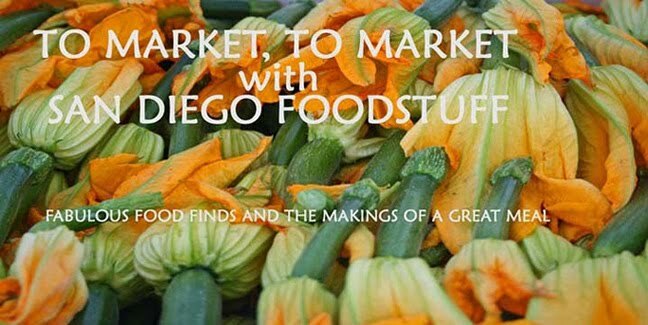 Catt White of San Diego Markets will share how local Farmer's Markets may implement Ca Grain Campaign's 20/20 Goal. 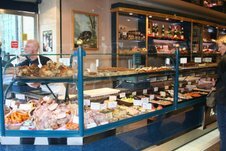 Taste whole grain products from Christina Ng (Chinitas Pies), Crystal White (Wayfarer Bread) and Joanne Sherif (Cardamom Cafe and Bakery) and drink local Brew (liquid grain)! Tickets are $20 and can be purchased on Eventbrite.